The new species was found in the war-torn north of the South Asian country by scientists from Sri Lanka’s Biodiversity Education and Research (BER) organisation. The arachnid had originally been presented to BER three years ago by villagers in Mankulam who had killed a male specimen. Scientists immediately realised the dead spider was not like anything they already knew and a group was charged with finding any living relatives. 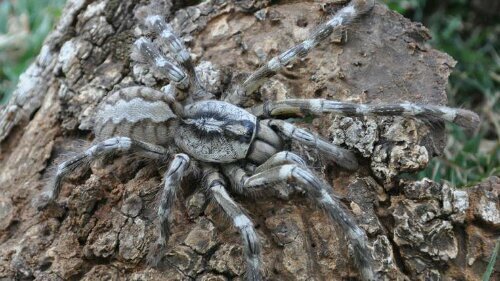 journal, told Sky News: “Ranil has been working on these spiders since 2009 out in Sri Lanka and this is the first of what is thought to be a number of new species he has discovered in what was previously the inaccessible northern region of the island. This news link http://tiny.iavian.net/tzj was sent from a friend. U.S. Troops Stand ‘Poised to Respond’ at North Korea border This news link http://tiny.iavian.net/ty4 was sent from a friend.